Jack Kerouac’s fondness for the railroad led him to include many references to riding freight trains in his writings. One of his most poignant is the Beat prose poem October in the Railroad Earth. 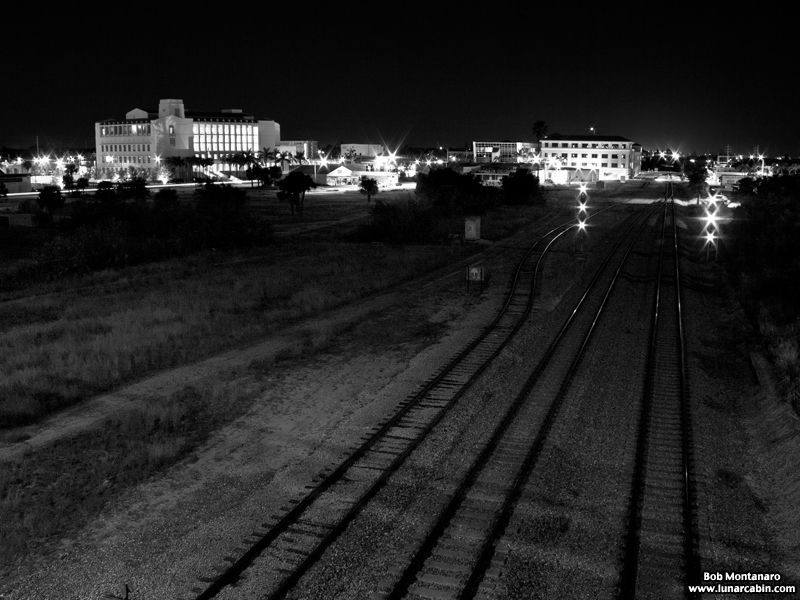 Whether working on the railroad or looking to hitch a ride, looking over the rail yards with the Fort Pierce skyline in the background evokes some of the wanderlust in Kerouac’s writings that stretched from small-town USA to cover the entire country. We’ll be doing the LA to PDX run in December. Should take about 30 hours. In preparation I’m formulating a filmography of RR films. We’ve already screen Murder on the Orient Express (70s version) and Union Pacific (1939).